Located on the first floor. 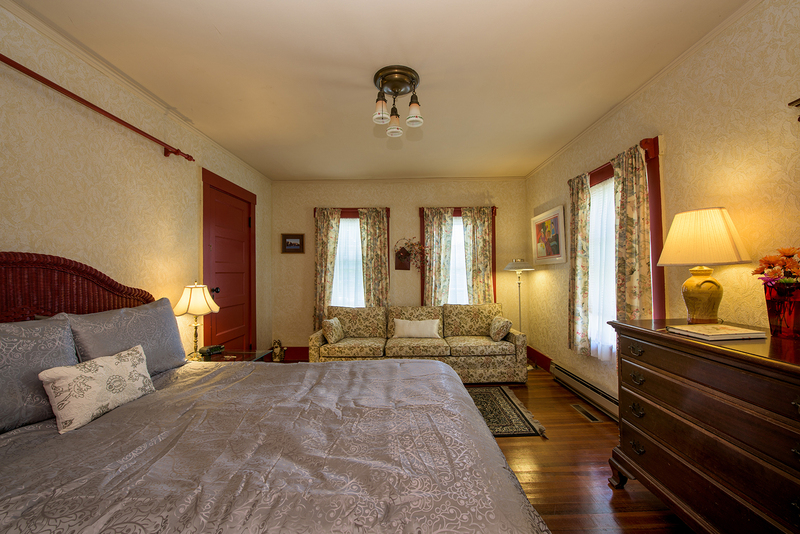 This room has a full private bath, individual heat control, and an antique queen-sized bed. It also has a full-sized couch on which to curl up and read or take an afternoon snooze.